What a fun race day with your family and team! Congrats on your 1st place win in your AG! You worked many, many months on organizing the Beckman-Coulter team encouraging people to participate and fund raising. You were the one who did the leg work signing up participants and lugging tee shirts and equipment the day of the race. High five for your extended efforts. Thanks Mom! It was a rewarding kind of work. 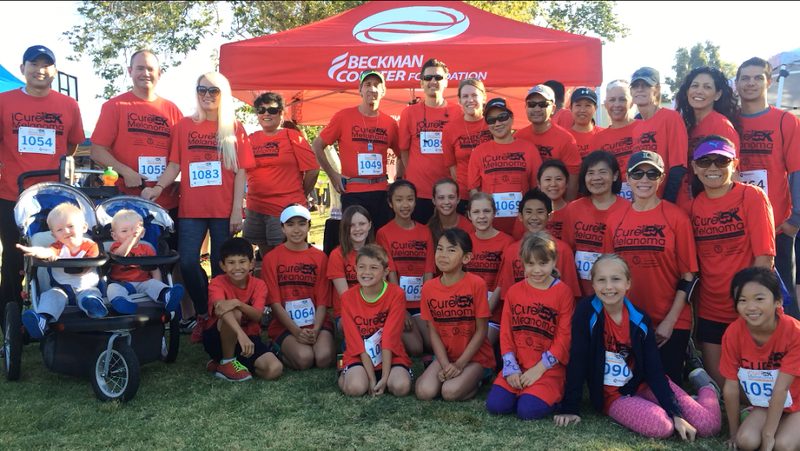 Well done on both your race time and the financial contribution that the Beckman-Coulter team made to the fight for the melanoma cure! Thanks Dad! It was so gratifying to see them hand over the check to UCI! That’s great it went so well (both the race and the fundraising)! Congrats. Thanks Jill! It was a good day!